Edwards, a disheveled, ruddy faced figure stands shoe-less and cloaked in a grossly stained Burberry coat, fraying at its edges. The artist appears in this portrayal to live his life apart in some way from the rest of us, worn down perhaps by the rigours of daily life. Yet here he stands, moonlit, his weight resting squarely on his heels, his eyes fixed purposefully on his portraitist. He is every bit engaged. But this portrait throws out more questions than answers. Who is this man? What is he thinking? Is his lost soul, redeemable? What is the artist behind the brush wishing to convey? Edwards' own works are revelatory. The artist's vivid paintings are characteristically self-portraits, or pay homage to fellow artists, close to him in some way. In Marsupials his acclaimed 2018 exhibition at Olsen Gruin in New York, Edwards' sideways glancing, earnest figures are shadowed closely by whimsical, brightly lit surrogates. And the penetrating stare, so emphasised by Storrier is there again. Edwards' ambitions as a portraitist are not misplaced. Technically perhaps, they are not very good drawings. 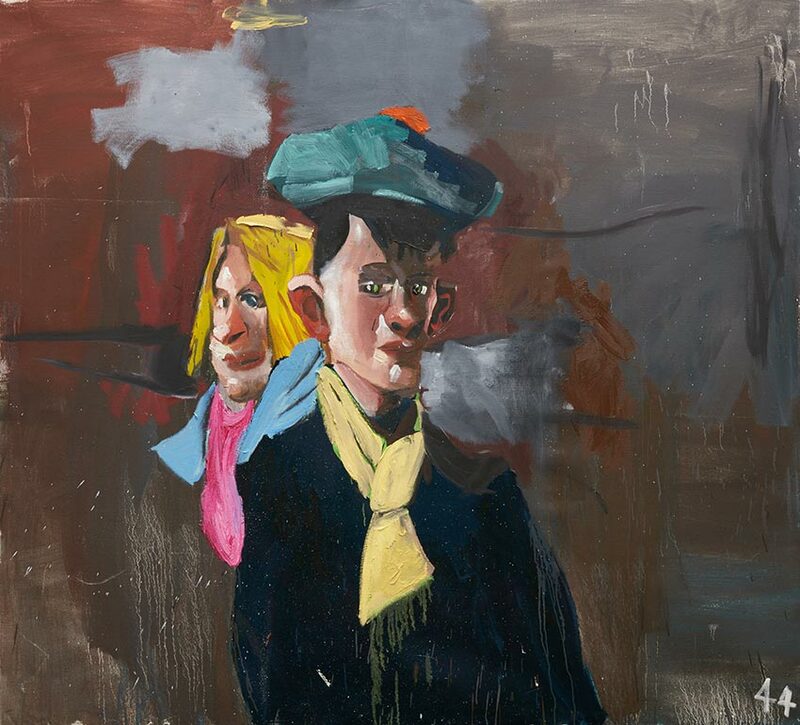 But Edwards successfully captures in lusciously gestural brushstrokes his subjects' obscure characters as sufficiently well as their likenesses. 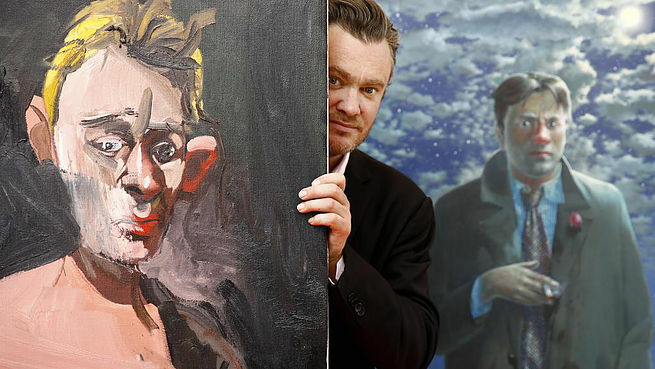 Edwards' paintings remind me of and owe much to Lucian Freud and Francis Bacon, but without the artistic grotesque distortions these artists relied upon to unmask their subjects. Affecting as Edwards' elegant paintings are, none have the tragedy or human drama of other forms. Portrait-drawing avoids the histrionic and has no narrative intent. But presentiment of death is not unusual. 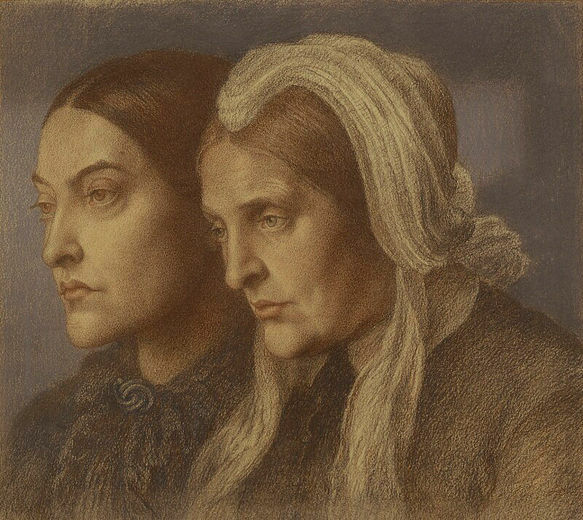 It is impossible for example to consider Dante Gabriel Rossetti's double portrait of his sister and mother without thinking of mortality. The drawing's mood is grave, explained by the fact that the artist was himself near to death. 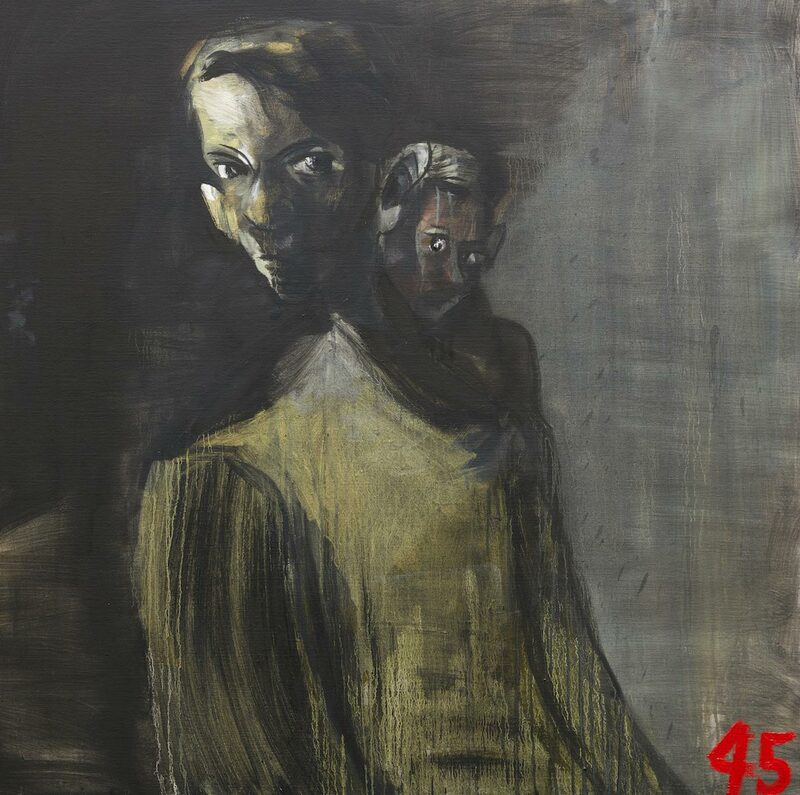 The same sense of foreboding, and the artist's struggle against his subconscious, is no less evident in Edwards' self-portraits through his use of an often dark palate and in the guise of the ever-present shadowing figure, hovering over his shoulder. Of the modern portrait, Edwards excels. His figures are shrouded in the fragility of the human condition yet they elegantly refuse to surrender. This may be because of some stubborn, existential view of the mortal world they inhabit. More likely, it is because so much remains in their eyes to be resolved. Storrier saw this in Edwards, and it lies then at the heart of his striking portrait of the savant.